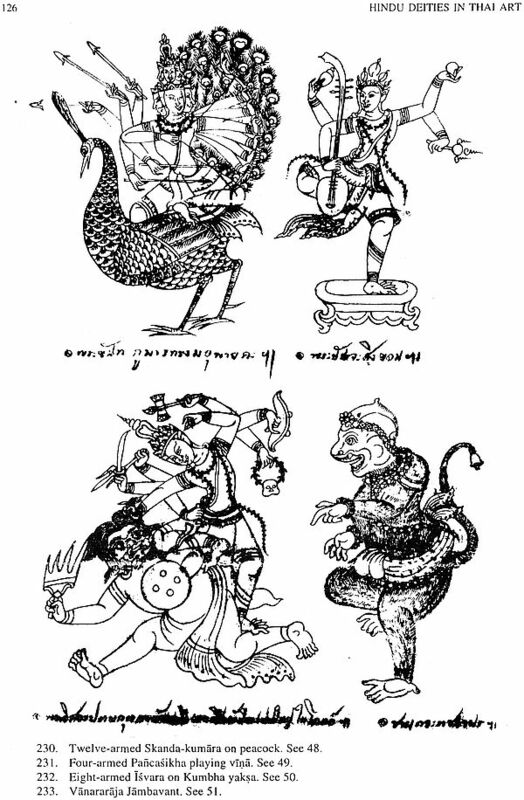 Hindu Deities in Thai Art reproduces three albums of Tamra Devarupa illustrating Hindu deities in their several forms some of which have evolved in Thailand. The first album has 90 figures the second has 69 figures, and the third has 114 deities, sages, planets and protectors of the directions. 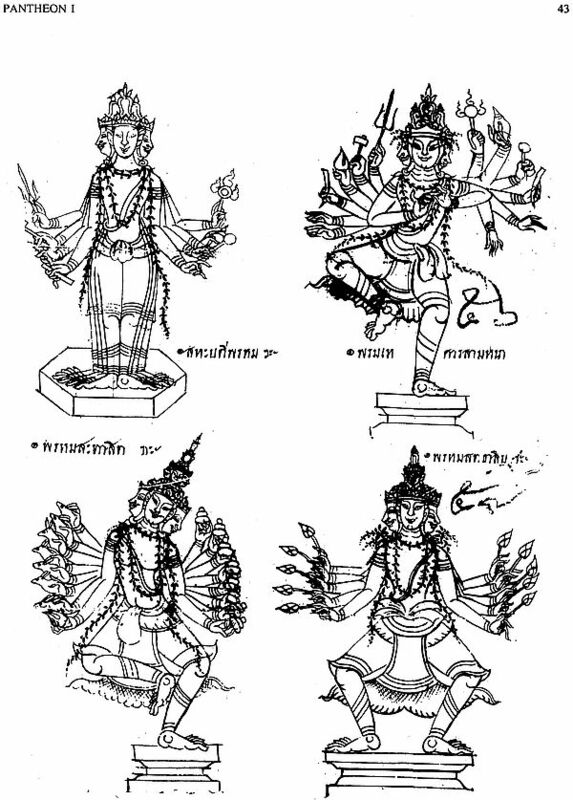 All of them begin with the mukhalinga of Svayambhuva- natha who is the deity of ancient coronation ceremonies of the Cambodia from Javanese vassalage and is said to have founded Angkor or Nagara that is an ordered state. He revived the old tradition of the Suryavamsa of King Kambu as against Bhavavarman and his successors who allude to Kaundinya and soma as their ancestors like the kings of Funan. The primacy of Svayambhuva indicates that the Thai tradition goes back to the Angkor period. The iconography of Siva (21 forms), Ganesa (12 forms), Skanda Narayana (30 forms), the ten Incarnations of Visnu (Dasavatara), Brahma (11 forms), nine Planets (Navagraha), twelve temporal deities (Eight Dikpalas, Earth, Sky, Sun ,Moon); Sages (Rsi), and various other deities like Visvakarma, 'Guardians' of horses elephants, ploughing etc. provide a rich fare of popular Thai iconography employed for secular purposes. Hindu images are found in Thailand from the 5/6th Thai King Manadharmika-rajadhiraja introduced Theravada Buddhism and hence onwards King Luthai, who ruled as Mahadharmaraja I, sanctified the mango Grove Monastery with two edifices: the Si Thon Mondop for a Buddha image and the Devalaya Mahaksetra for statues of Siva and Visnu now kept in the National Museum at Bangkok. These images can be dated to 1350. To this day royal ceremonies are conducted by Saiva brahmanas of the Kailasa- parampara. 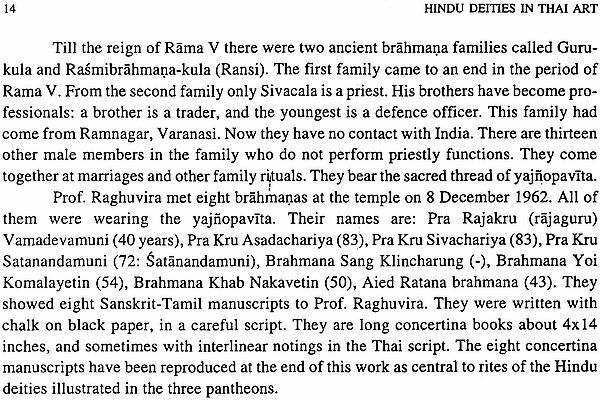 They use Sanskrit and Tamil texts for the rites. 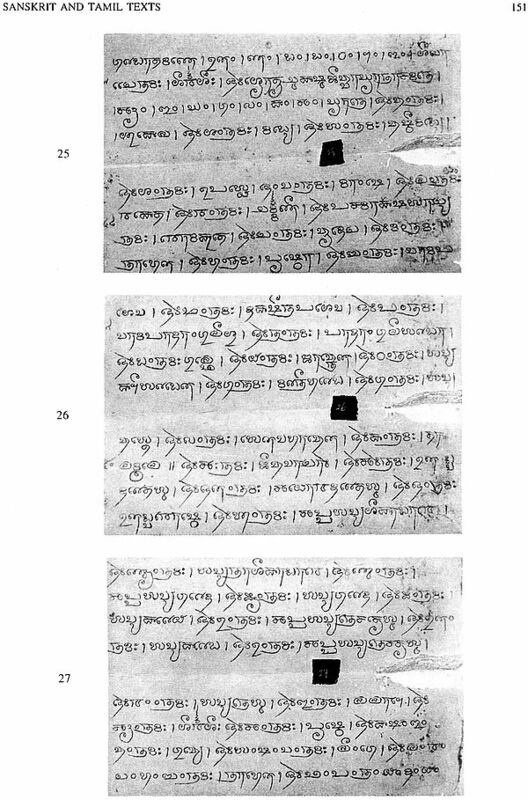 These manuscripts have been reproduced at the end of the book. Mrs. Gauri Devi wife of Prof. Lokesh Chandra, is a scholar of Sanskrit. Honoured with Natyaratna for her expertise in Bharat Natyam. Studied Japanese, German, Russian Bengali and Tamil. Taught at Vikram University, and Guwahati University at Shillong Faculty member of Wolf Trap Academy of Dance, Ohio State University, USA. Attended international conferences. Current research: Esoteric Mudras in Japanese Rites. The sun of love and Righteousness. Thailand is the wealth of the heart the ore of our deep meaning's mine, a hymn to culture a visual Vande Mataram. The City of Bangkok has a unique skyline of the spires of temples: like Kumbhakonam in south India, which prides in having a kumbha or sikhara at every corner (kona). If we ascend the roof of any highrise building in Bangkok, the Divine of the monastic spires surrounds the eyes. My clouded heart sees grace of dream in this heaven thinking. We have yet to see such a splendour of the Divine in the skyline of Delhi. The kings of Thailand get the designation Rama on coronation. The present King is Rama IX. His name is Bhumipala Atulyateja "The king of Unequalled Majesty". Lord Buddha was a scion of the Iksvaku dynasty of Suryavamsa Ksatriyas. The coronation ceremonies are performed by Saiva brahmanas. They also officiate at other royal ceremonies to which Buddhism provides no counterpart. The Hindu rituals of the Thai court clock the king with full majesty of divinity and recall the Devaraja rites of earlier periods. 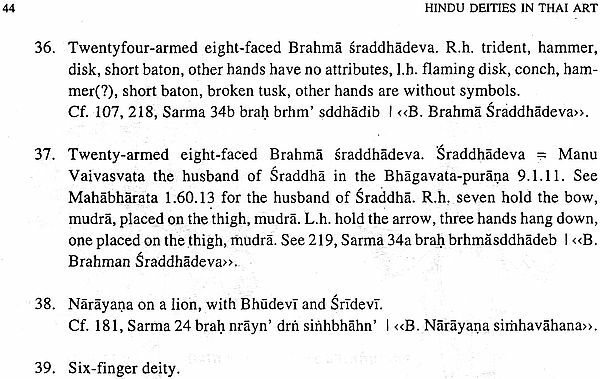 They have manuscripts of Devarupa, which depict Hindu gods. The throne in the throne room of the Grand Palace was constructed by Rama V, King Chulalongkorn. It is cast in bronze with worshipping figures and garudas. Behind it is a large and brilliant Trisula an insignia of the power and authority of the King of Thailand (Plate 1). The Ramayana is painted in Thai monasteries. It is illustrated as bas- reliefs at Wat Po, a temple that stands on the tongue of land guarded by two canals. It is the nucleus from which modern Bangkok grew. Here repose the ashes of the first king of ruling Chakri dynasty. If Thailand has an omphalos, it is here. And the Ramakien consecrates it, which is the Thai pronunciation of Ramakirti. Painting dance-drama and sculpture are dominated by the Ramakien. 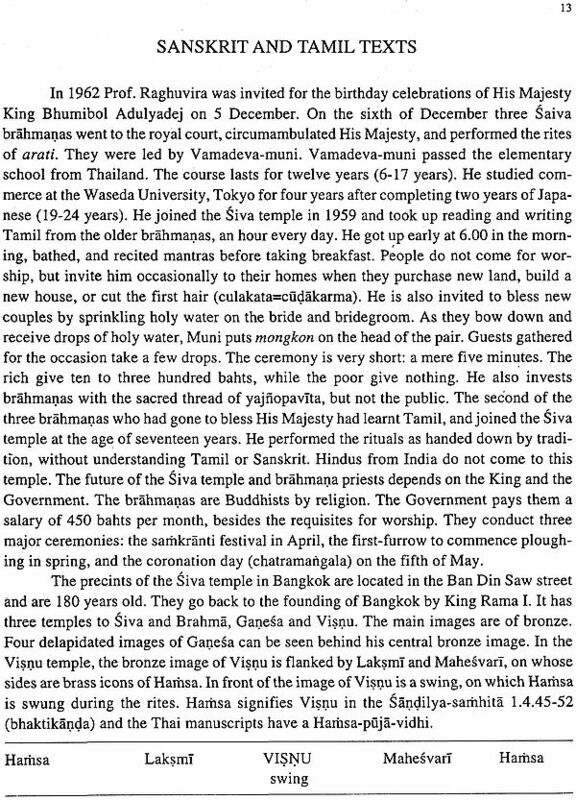 In the timeless continuum of Thai perspective both Rama of Ayodhya and the historical Ram Khamheng (Rama the Valiant) of Sukhothai reign supreme. They are the deeper furnishings of the Thai mind. Wat Po enshrines the relics of the king who wrote himself into a relationship with Rama. The people bring him their flowers to this day. There are three versions of the Ramayana in Thai. They are written in ornate verse (kavya) either to be read or sung in dramatic performances. All of them have the honour of originating from royal pens of three Thai kings. 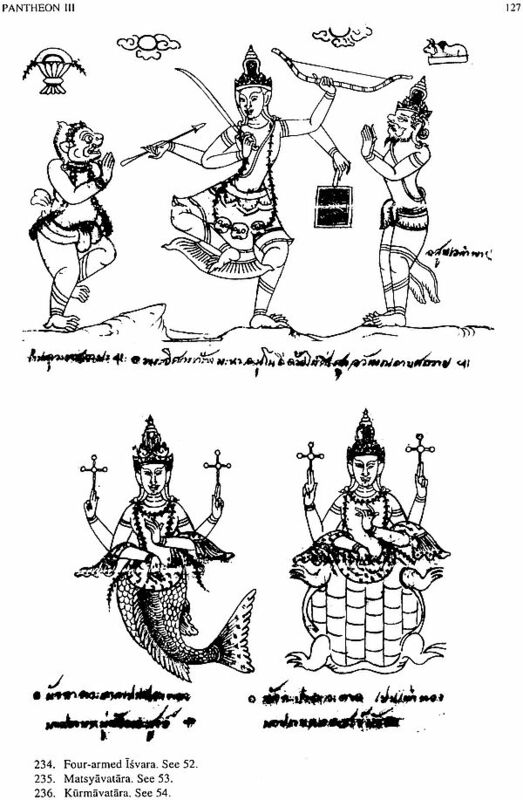 The Thai versions agree in the main with Valmiki but exotic episodes were introduced in them some of which can be traced back to the Tamil version of the Ramayana. The Thai Ramakien ends with a banquet in the holy palace atop Mount Krailat (Kailasa). Phra Isuan (Isvara) is the host to Phra Ram and Nang Seeda (Sita). The couple reaffirm their marriage vows. While the heavens sang and the earth danced the couple was borne back to Ayudhya aboard the diamond chariot of Phra In (India). The Hindu images of Siva, Uma, Visnu, Krsna, Harihara, Brahma, Indra, Visvakarma were used in royal rites and emanate from court ceremonies. King Rama III (ruled 1824-51) promoted the renewal of Buddhist art and established canons of iconography. 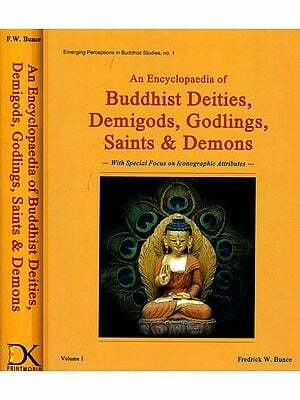 He created forty attitudes illustrating the forty most important events in Buddha's life. The King wanted to assemble all traditional knowledge of Thailand and present a visual encyclopaedia at the monastery (Boisselier 1975:186). 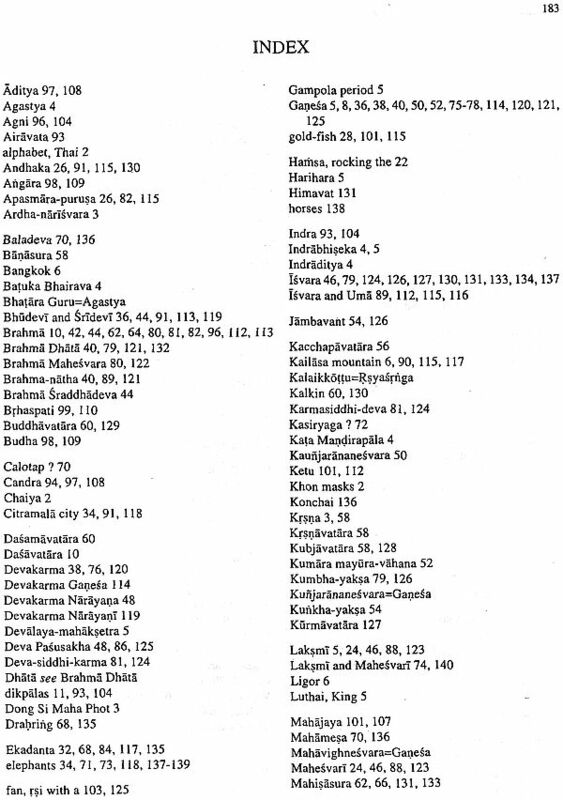 He had Hindu collected in Tamra Devarupa which were written on black khoi One of the bronzes is illustrated in Boisselier (1975: 188 fig. 143) who is Brhaspati on his usual mount, the deer as one of the nine planrts (navagraha).